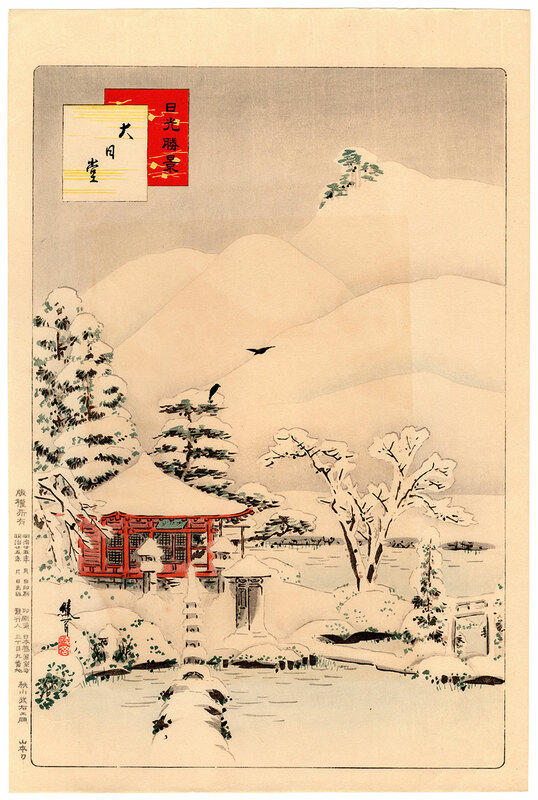 Rare polychrome woodblock print of vertical large oban (大判) format taken from the series "Wonderful Views of Nikko" (日光勝景) made in 1892 by the artist Ayaoka Yushin (綾岡有真), in collaboration with the publisher Akiyama Buemon (秋山武右衛門), and depicting a snowy landscape around the Dainichido (大日堂) temple. 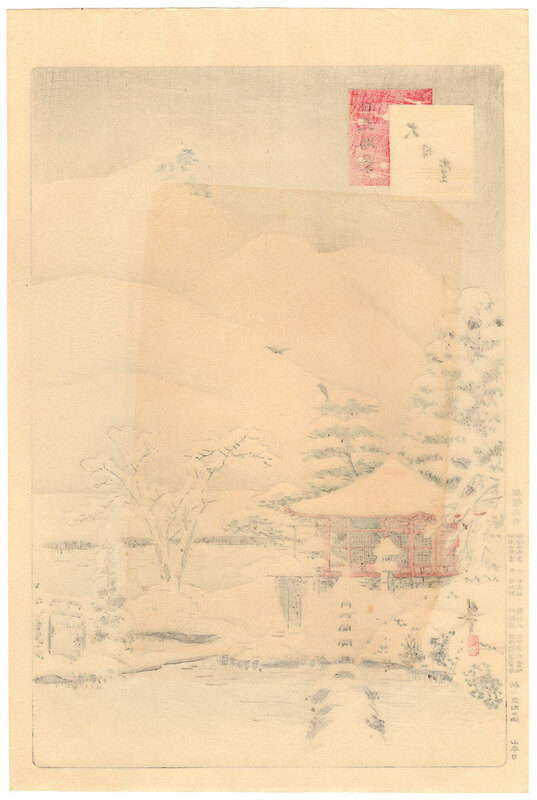 Ayaoka Yushin (1846 - 1910), born in Tokyo and son of the nihonga (日本 画) style painter Ayaoka Kisho (綾岡輝松), was a pupil of the famous artist Shibata Zeshin (柴田是真). Ukiyo-e (浮世 絵) painter and master calligrapher, owes his fame in particular to the refinement of his landscapes. 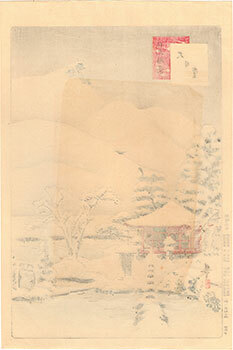 The print on Japanese washi paper (和紙), despite the obvious rectangular halo, is in good general condition.